The statistic illustrates Facebook's quarterly revenue in Europe as of the fourth quarter of 2018, sorted by segment. 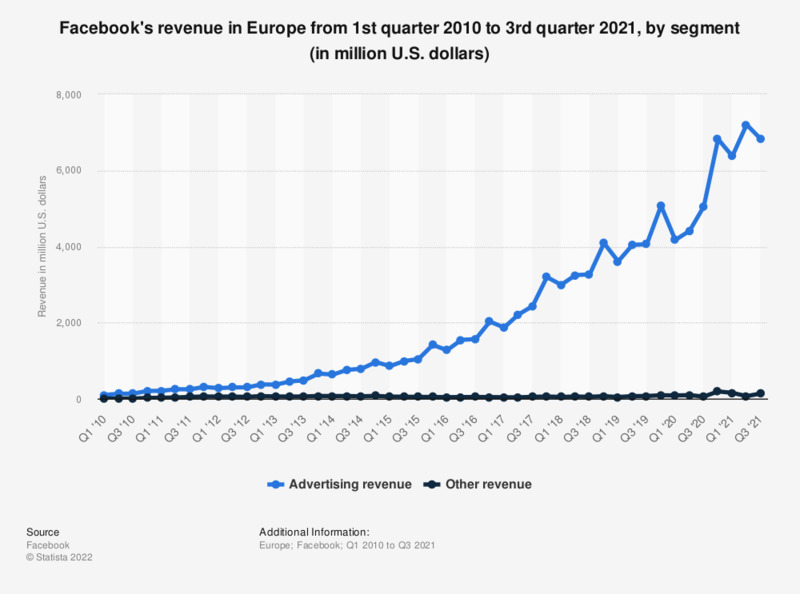 In most recently reported period, Facebook's advertising revenue across the European markets amounted to over 4 billion U.S. dollars. Everything On "Social media usage in the European Union (EU)" in One Document: Edited and Divided into Handy Chapters. Including Detailed References.